Why did Britain and Argentina go to war over a wintry archipelago that was home to an unprofitable colony? This panoramic history of the conflict through the transnational lens of 'Greater Britain' reveals that neither the dispute, the war, nor its aftermath can be divorced from ... read full description below. Available for pre-order internationally. Ships upon its international release date of 31 Aug 2019. Why did Britain and Argentina go to war over a wintry archipelago that was home to an unprofitable colony? Could the Falklands War, in fact, have been a last-ditch revival of Britain's imperial past? Despite widespread conjecture about the imperial dimensions of the Falklands War, this is the first history of the conflict from the transnational perspective of the British world. 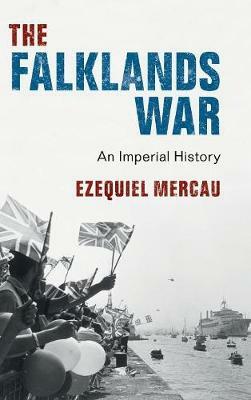 Taking Britain's painful process of decolonisation as his starting point, Ezequiel Mercau shows how the Falklands lobby helped revive the idea of a 'British world', transforming a minor squabble into a full-blown war. Boasting original perspectives on the Falklanders, the Four Nations and the Anglo-Argentines, and based on a wealth of unseen material, he sheds new light on the British world, Thatcher's Britain, devolution, immigration and political culture. His findings show that neither the dispute, the war, nor its aftermath can be divorced from the ongoing legacies of empire. Ezequiel Mercau is a Research Fellow at the Centre for War Studies, University College Dublin.